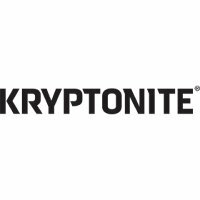 The Kryptonite Keeper 785 Integrated Chain Lock is approved to Bronze Sold Secure standard. That is it has been tested to withstand a one minute concerted attack. Given that some locks can be overcome in seconds, a Bronze Sold Secure lock offers very decent protection. The Kryptonite Keeper 785 is an 85cm-long chain with an integrated locking mechanism (in contrast to a separate padlock and chain). This arrangement is literally more flexible so it can be secured to railings and lampposts that a D-lock might not be able to negotiate. The 85cm-long chain is manufactured in a hardened triple heat-treated boron manganese steel. Each four-sided chain link is 7mm thick. The chain is enclosed in a nylon-webbing sleeve. The sleeve does two things. It protects the chain from the elements and the bike from scratches. The sleeve also acts as a psychological deterrent because it makes the lock look even thicker and more forbidding. The locking mechanism's end pin-link design secures the chain with a hardened deadbolt. This deadbolt offers great holding power against attacks. The high security disc-style locking cylinder is pick and drill resistant. Supplied with with 2 ergonomic smooth-action 'I' keys.